It's strange how things work sometimes. 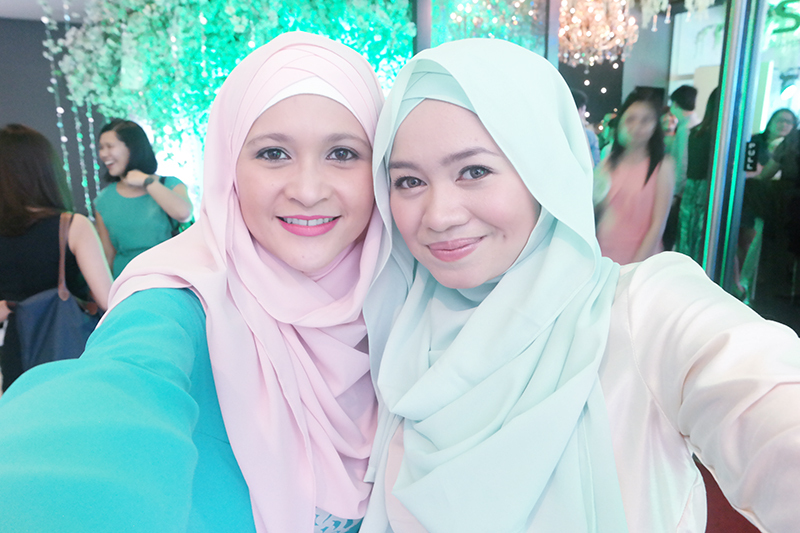 Over a year ago, I wrote about my hijab story here (What is your HIJAB Story?). I also wrote about the challenges that a lot of people face when wearing the hijab and even mentioned how taking care of your hair is even more important. 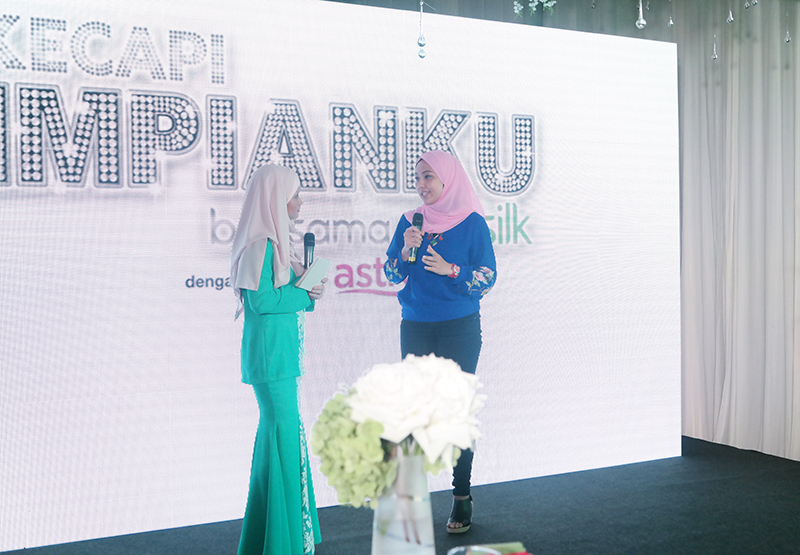 I wrote about Sunsilk and their efforts to tackle this particular problem seriously, and how they strive to help women achieve their dreams in their own way. 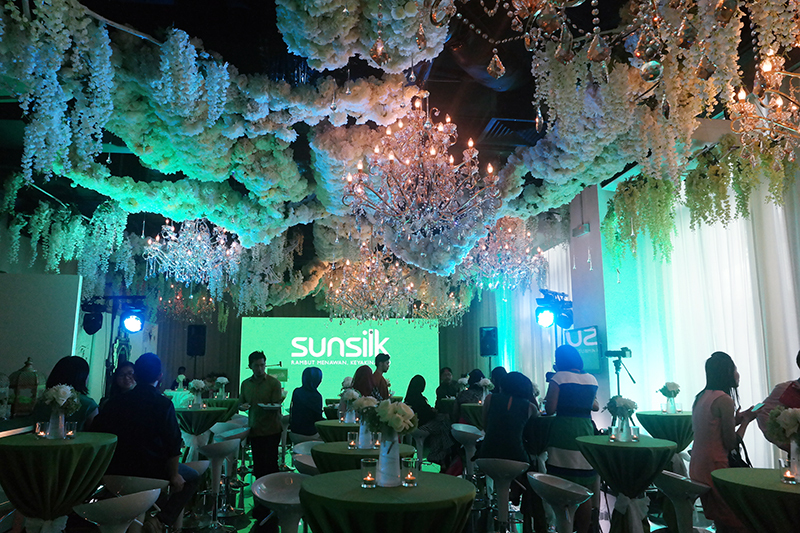 So when I was invited to attend Sunsilk's event on 11th August 2015 as media, I said yes (despite my jam-packed schedule that week just few days before my big show for aere’s KLFW). 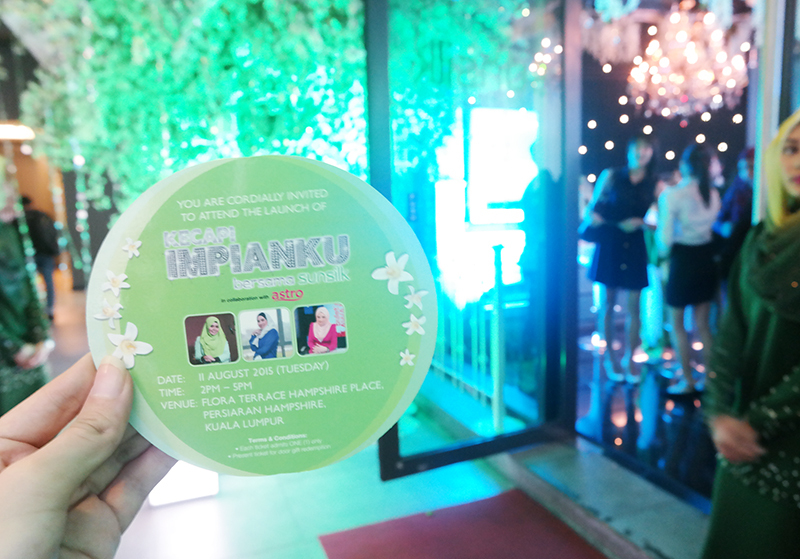 The event was to launch their new TV show Kecapi Impianku Bersama Sunsilk which will be shown on Astro. 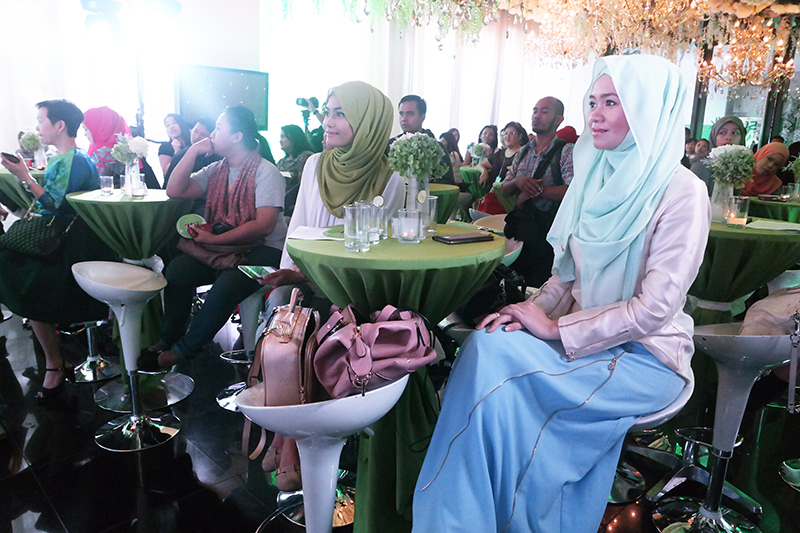 Sunsilk has chosen 3 outstanding ladies to become mentors to three aspiring participants to help them fulfil their dreams. 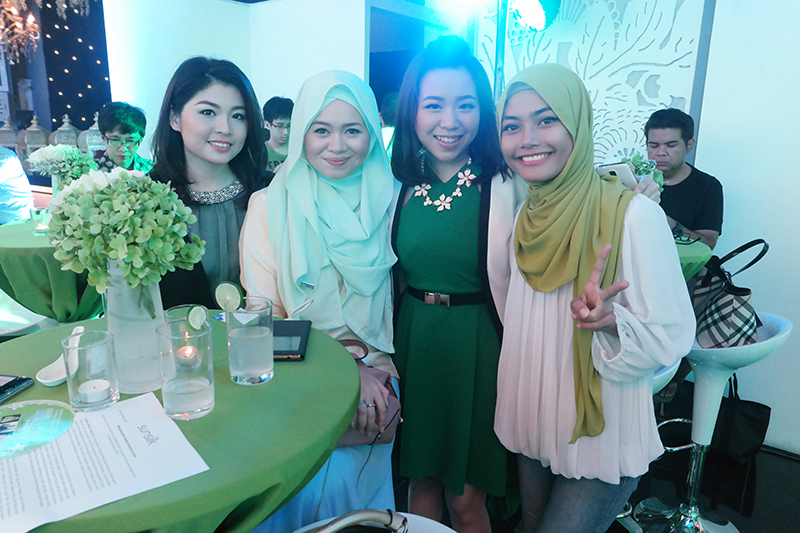 Before the event, I did not know (at that time) who the 3 chosen mentors were. 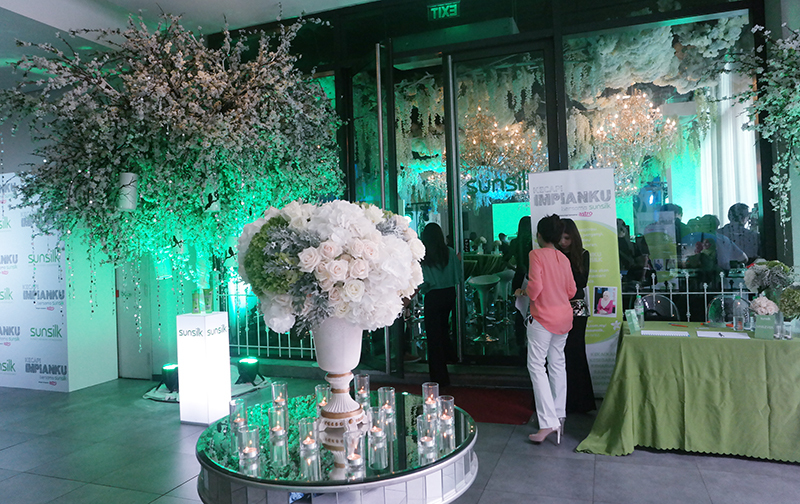 The event was held at the Hampshire Place. 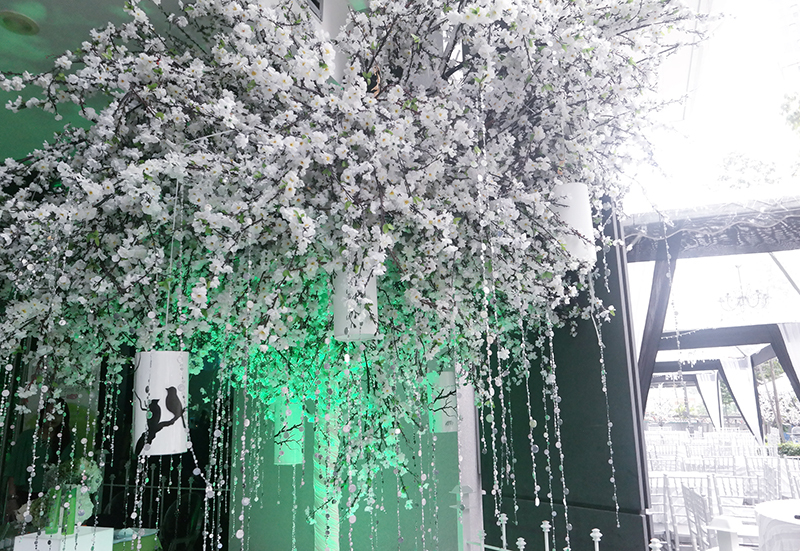 The place was BEAUTIFULLY decorated. It was gorgeous! 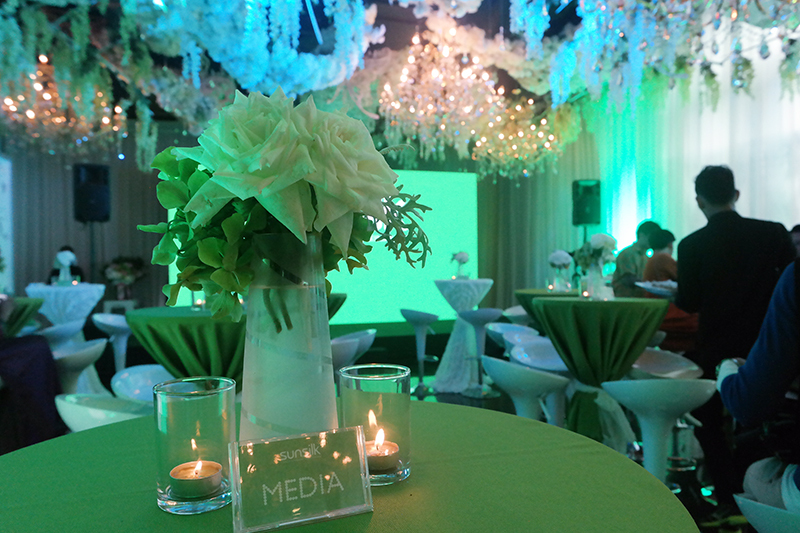 The whole area was transformed into a deep, rich green tone. 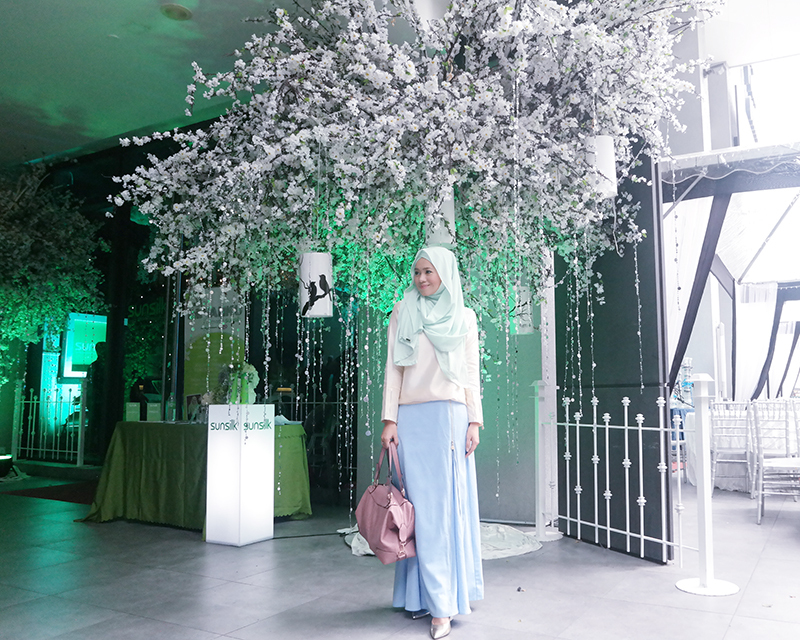 It was perfect for sunsilk's event. I hanged out and sat with Samantha and Nisa Kay and since I didn’t have the time to eat lunch that day because I was running around earlier, I ate the finger foods they served. It was nice catching up with them too and sweet Samantha helped me taking these photos with me in it. 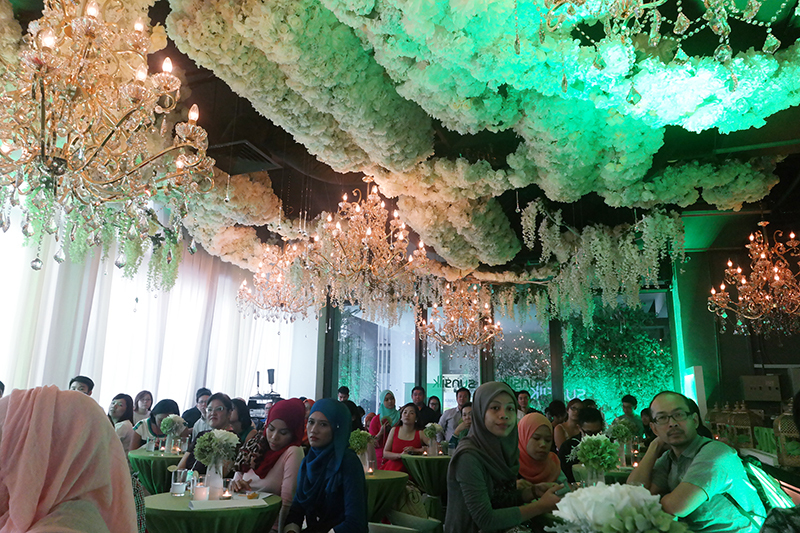 The MC for the event was the bubbly and super-talkative Sharifah Aleya. She was certainly the heart of the show and kept it going and made me laughed quite a number of times with her spontaneous jokes. The event then started with an introduction of the first mentor: Najwa Latif. She performed the minute she got on stage, which got the crowd going. I can't remember the name of the song she sang, but it's on the radio. She shared how things started with her, from being a youtube sensation to becoming prominent nationally. 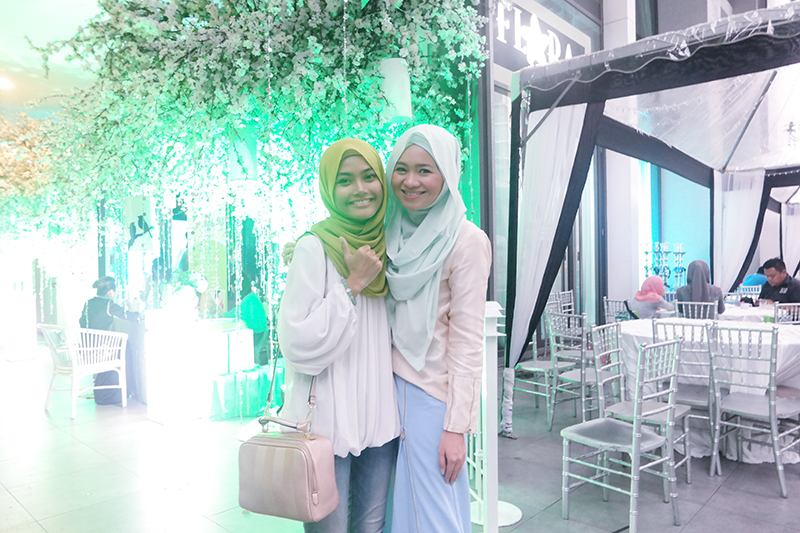 She's really sweet and down-to-earth. Next up on the stage was Melissa Saila. I was pleasantly surprised that she's going to be one of the mentors. 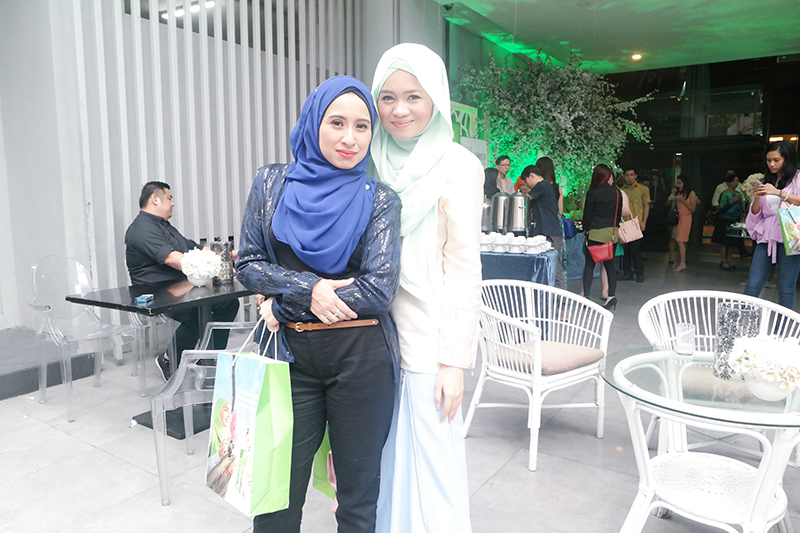 I really loved her performances as Norizan in P Ramlee the Musical. She was strong, she was determined, and she can really sing well too. She carried that on stage and was confident and sassy. 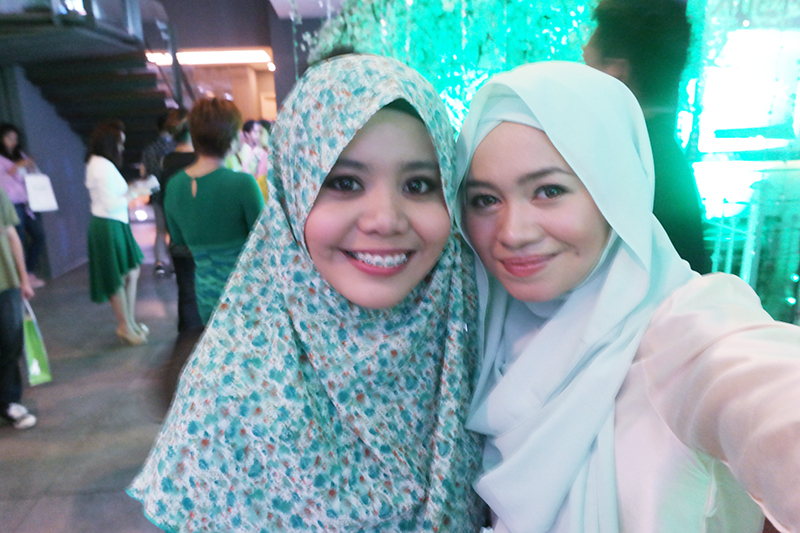 I still remember her powerful performance I witnessed during P Ramlee the Musical and actually went up to her and mentioned it to before we took a photo together. I think whoever her protege is will benefit a lot from her experience in the industry. 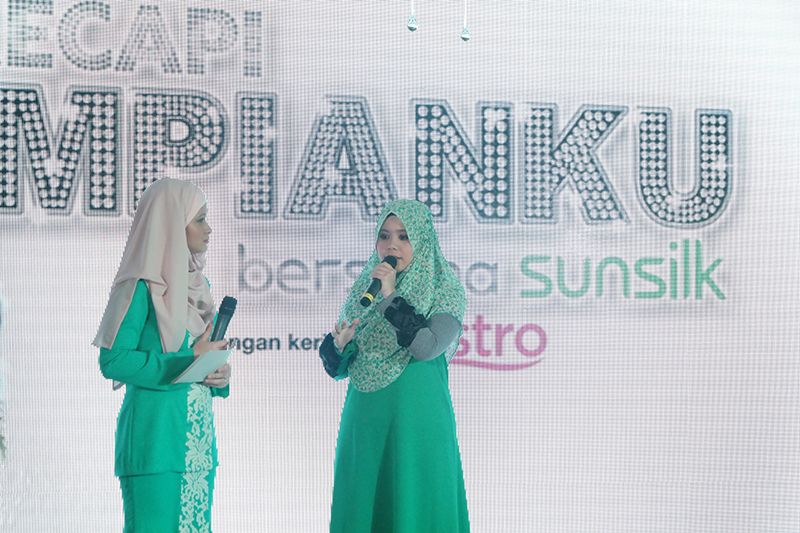 Khairunnisa Kasnoon then appeared on stage as the final mentor. She's a broadcast journalist and shared with us her challenges and life story. After that, they showed short videos of each of the mentors. Well, if you want to know their stories and how their proteges fare, make sure you watch the show, alright? Okay, okay, here's a little teaser! 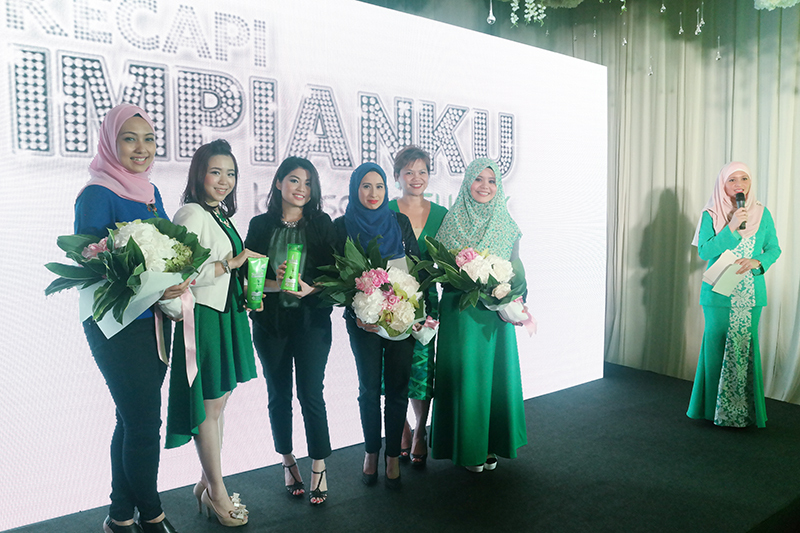 Have a look at this inspiring 30 second video by clicking here (Kecapi Impinaku Bersama Sunsilk). I'll definitely be keeping a lookout for this show. There will be a total of 10 episodes aired on hlive! 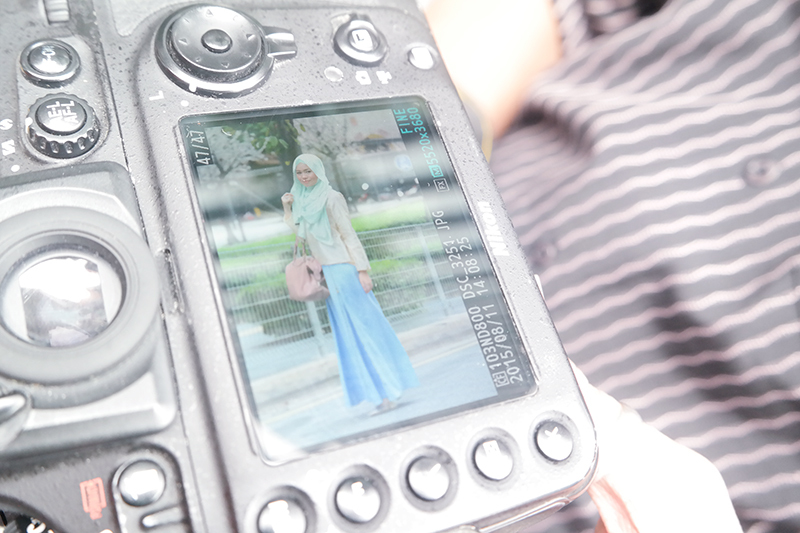 and uploaded to Astro Gempak’s website. 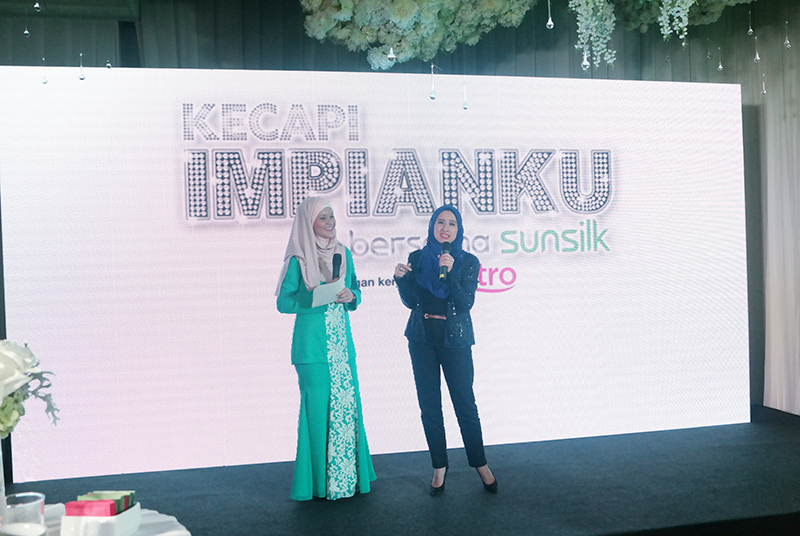 The Kecapi Impianku bersama Sunsilk episodes will be aired as five-minute special segments in hlive! every Wednesday, Thursday and Friday at 8.30pm starting 14 October 2015, exclusively on Astro Ria (Channel 104). All the best, girls! 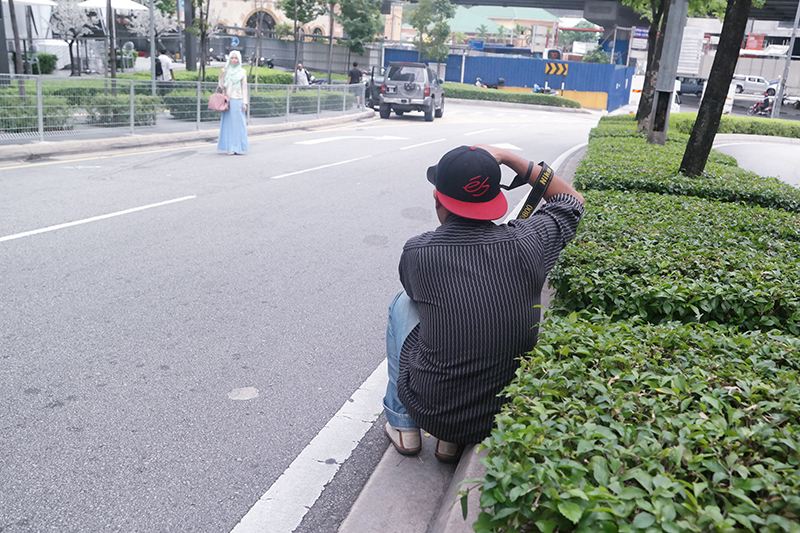 Go out and chase for your dreams.